AS one of Queensland's top judges suggested the newly appointed Chief Justice should withdraw as "the only appropriate course", the Attorney-General again backed his government's choice. 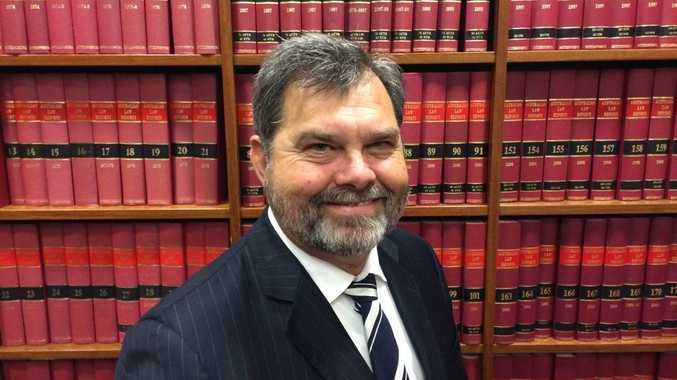 Court of Appeal Justice John Muir, who will retire by year's end, said it would take courage for Chief Magistrate Tim Carmody to step away from the Chief Justice position but that was not a quality lacking. He said the appointment had "the potential to adversely affect the working of the supreme court, weaken public confidence in the administration of justice and impact adversely on the willingness of parties, who have the freedom of choice in the matter, to litigate in Queensland state courts". "No court, no matter how dedicated its members, can perform to anything like its full potential if the Chief Justice does not have the judges' respect and confidence," he said. "It must be exceptional that debate surrounding the appointment of a Chief Justice focuses on whether a person is qualified for the office rather than the respective merits of competing, obviously well qualified, candidates. "The Chief Magistrate seemingly fails to appreciate that he ought not be engaged in a popularity contest." Justice Muir made his provocative comments in an address to the North Queensland branch of the Bar Association's biannual Court of Appeal dinner in Townsville on Wednesday night. After Governor Penelope Wensley on Thursday signed off on Judge Carmody's appointment, Attorney-General Jarrod Bleijie congratulated him on "agreeing to serve Queensland". "Judge Carmody's unique blend of skills and experience will give the Court the direction and drive to continue the great work of Chief Justice Paul de Jersey of meeting the challenges of a changing legal world," Mr Bleijie said. "His distinguished and diverse legal career, his administrative experience and his integrity made him the ideal choice for such an important role in our justice system." Justice Muir joins a long line of distinguished people in the Queensland legal community who have spoken out against the appointment. During his speech, he criticised Judge Carmody's media interviews following the announcement last week. "The public were faced with the unseemly spectacle of a man soon to be appointed Chief Justice spruiking his credentials," he said. Justice Muir quoted Judge Carmody on not being the smartest lawyer in the room and that he did not aspire to compete with other supreme court justices for intellectual rigour. "Would the selectors of the Australian cricket team contemplate, even momentarily, an Australian cricket team captain who was inferior in skills to the other team members?" Justice Muir questioned. "Might not an accused in a criminal trial, a party to a civil litigation or a party to an appeal before his Honour expect and appreciate the application of intellectual rigour? "Should not a Chief Justice's colleagues be able to seek his or her informed opinions on a range of complex issues?" Opposition Leader Annastacia Palaszczuk said the backlash against the Chief Justice appointment was unprecedented and had made Queensland the laughing stock of the nation. She said Premier Campbell Newman should sack the Attorney-General for "botching" the process. "Never before have we witnessed such scathing comments from a sitting judge of the Court of Appeal," she said. "This is now becoming an untenable situation. "We have the judiciary, we have barristers and lawyers not convinced about the process the government undertook." Tim Carmody hopes his background can mend the "disconnect"